I've had my DS since shortly after the platform launched. I loved my Game Boy Advance. I loved it so much that I had a friend help me install the afterburner kit so I could play it in the dark even. Then of course, the SP launched. I was less in love with it or the clamshell form factor. 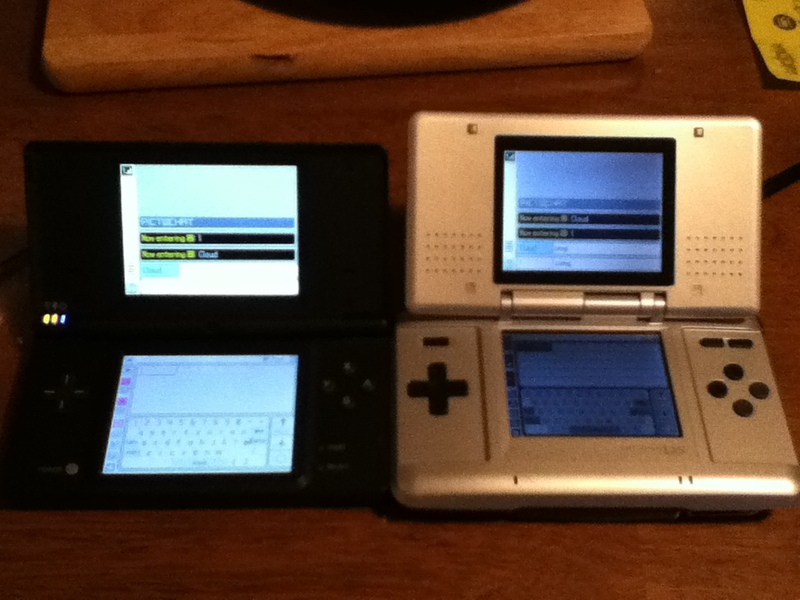 So I'm not really sure what prompted me to get a DS. I've barely used it over the years. Instead I would just opt to play Game Boy games on my Advance. The DS was just too clunky and bulky. So as the DS handheld slimmed down in subsequent generations I've been eyeballing them waiting to get one decently (sub $100) priced. With the 3DS I thought it might be a little easier to snag a DSi. I wouldn't say that there's been a larger flood of used DSi on the market, but I was able to get a used one relatively cheap. With all the upgrades (dsi shop, browser, cameras, etc) it's amusing, but to me it's really still just a gaming device. I have a phone (and an ipod) that can do all of those things and more. Still, I'll dabble with homebrew once a workaround presents itself (since sudokuhax is now dead). Now off to play some Pokemon Soulsilver.